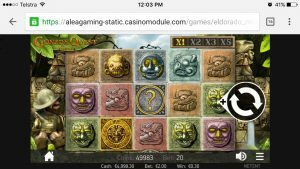 If you have ever visited the desktop version of your favourite mobile casino site and compared the game count between them, you will have noticed there’s a lot less pokies available on the latter. Less games to play is a bit of a head-scratcher, but the reason for it is quite simple – and things are changing fast. This article delves into the technical reasons as to why there’s less mobile pokies games ported to mobile, and why the iGaming industry is slowly changing this limitation with bigger efforts in the mobile space. First thing’s first: The smaller catalogue of mobile pokies games is not because the casino is being stingy. Real money gambling sites would love to host more reasons for their players to come back and enjoy their offerings – that’s a fact. Other types of games like baccarat, live dealer, poker are also fairly hard to find at mobile casinos, even though these sites know they’re among the most popular titles alongside pokies. So why the smaller count, then? Low effort? The smaller number of games available on mobile has to do with the cost of porting and optimising said games to better suit the smartphone and tablet interfaces, touch-based controls and overall smaller screens. The desktop version of pokies has the full screen of a computer or laptop monitor to fill with special graphical effects and gameplay features, and a mouse to easily navigate and control the various facets of the game. Transferring these design elements onto portable devices isn’t a simple task. Pokies gaming software developers have to completely re-work their original ideas and gameplay mechanics, which are controlled using a traditional mouse and keyboard control scheme, to a workable format for your Android, iPhone, iPad, Samsung and the hundreds of other brands and types of phones and tablets – not an easy task in itself considering the sheer amount of permutations a different type of phone and operating system brings to the table. Spinning the reels or modifying betting options has to be done with a touch of the screen instead of a mouse click, so they have to ensure buttons are mobile responsive; gameplay and graphical effects need to fit the smaller screen and adjust to landscape mode automatically; licenses for pokies games based on popular film, television or video games media also needs to be cleared. Are more mobile pokies coming? The great thing about the iGaming industry right now is how rapidly leading pokies gaming software developers like BetSoft and Net Entertainment are catering to the growing demand of mobile real money gamers and porting over all of their new releases. NetEnt’s “Touch” mobile pokies line has been a pioneer in this endeavour. Since the launch of the mobile-specific game line in 2011, Net Entertainment initially ported over only the most popular licensed titles but has since ensured every single new pokies game is ported to mobile for Android and iOS players to enjoy, with minimal differences in quality. The same 3D graphics, superb animations, audio tracks, and fun gameplay are intact with NetEnt Touch games – the only difference is the touch-based controls and smaller screen of your phone or tablet. There’s even a few neat extra options for mobile users, like Autoplay and Left Hand Mode. 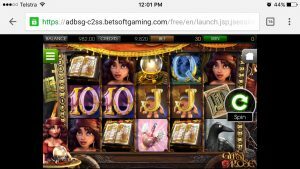 Most importantly, the payouts and return-to-player percentages are identical to the desktop versions, and everything is instant play/no download mode – no need to download official casino mobile apps just to play them, just play through your mobile device’s Web browser – though these app options are available. BetSoft’s ToGo line is a specialised effort to bring all of their pokies and table games to mobile while retaining their signature cinematic quality their 3D computer-animated games are well known for on desktop, highly optimised for Android, iOS, and Windows Phone. Where are the best mobile casinos for these pokies? As documented extensively across our site, all of the recommended mobile casinos we detail here host high-quality mobile optimised games from BetSoft, NetEnt and other leading developers like Microgaming, Elk Studios, NextGen/NYX Gaming and Thunderkick. You can play all of them on nearly all modern smartphone and tablet devices post-2007, including Android OS, Google Nexus, iOS (iPhone, iPad, iPod Touch), Microsoft Surface, Samsung (Galaxy and Galaxy Tab range), and Windows Phone – you just need an active data connection either via 3G or 4G, or Wi-Fi. Sign up for an account at Rizk.com and enjoy a generous welcome bonus offer of $100 to get you started on the best NetEnt Touch and BetSoft ToGo mobile pokies titles.